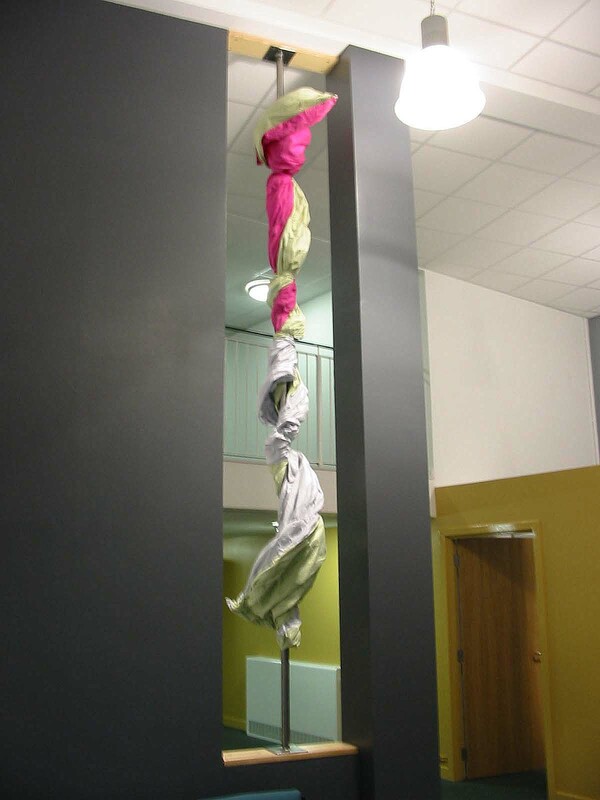 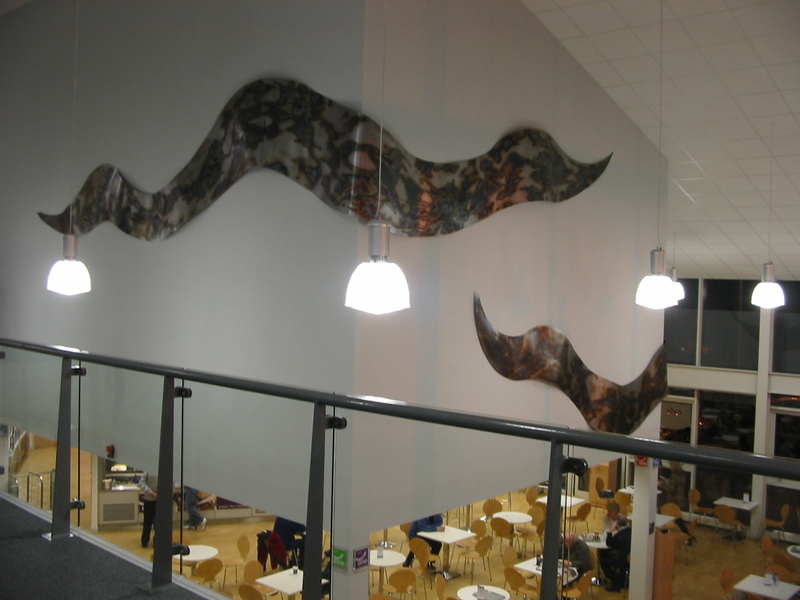 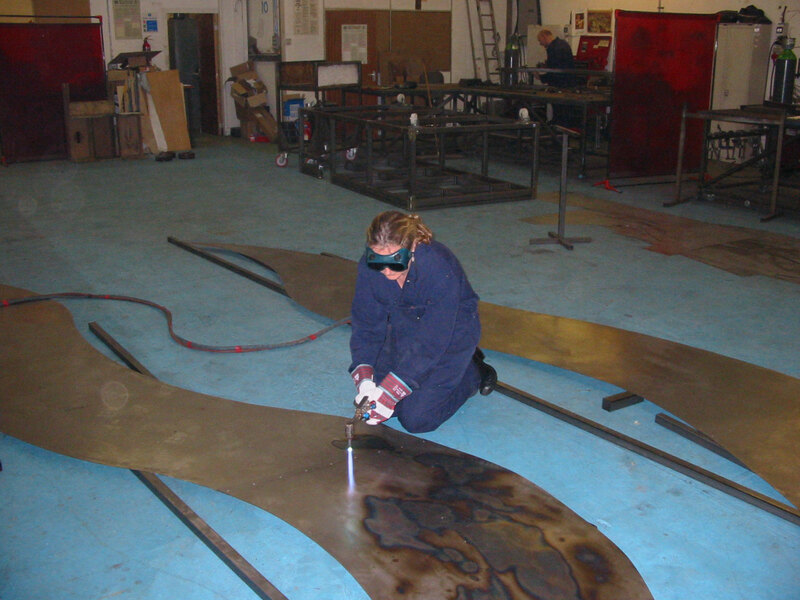 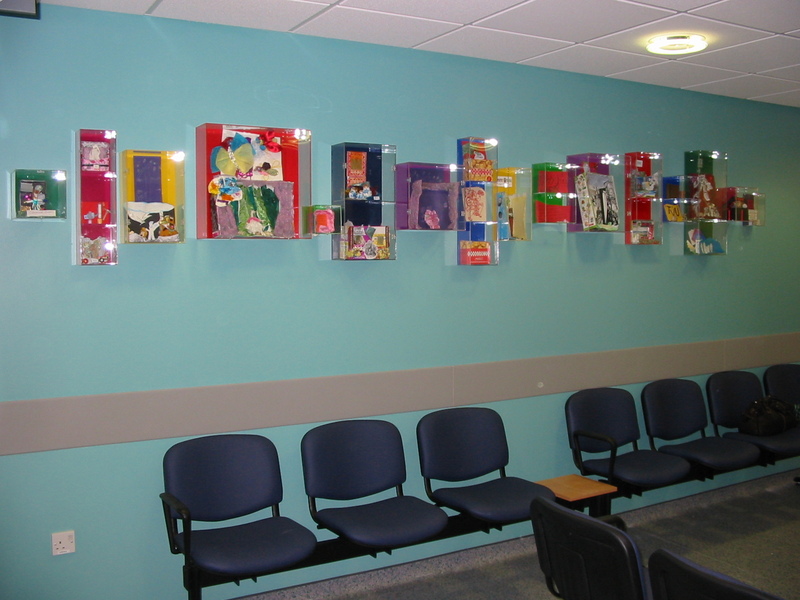 In 2006 I was commissioned to create steel and perspex sculptures for the new entrance at Heartlands Hospital, Birmingham. 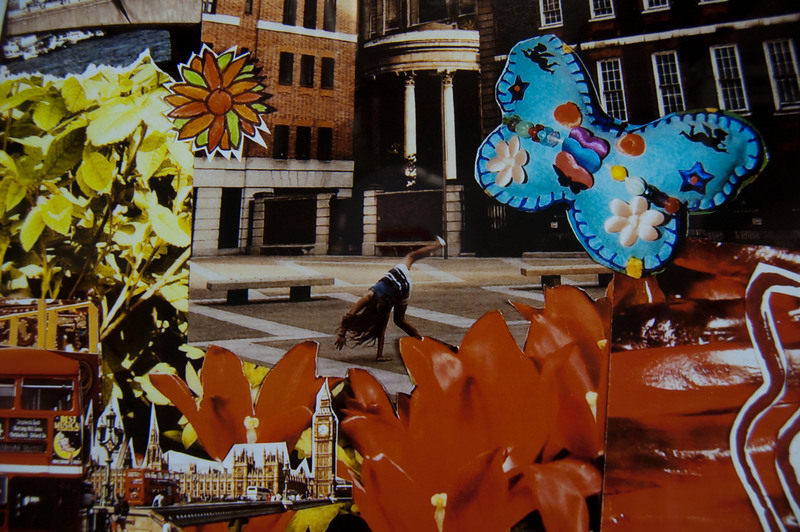 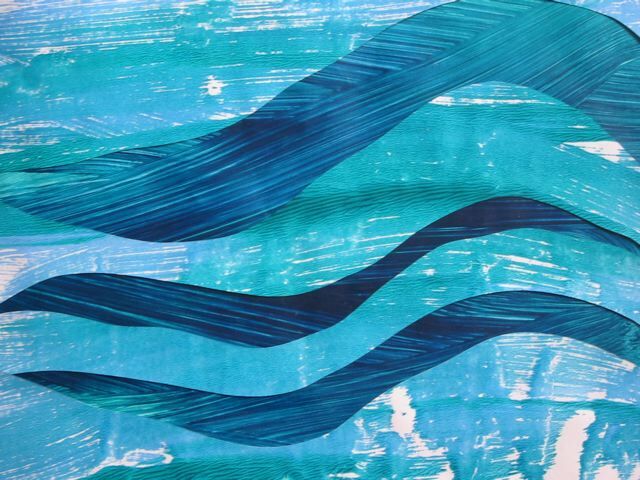 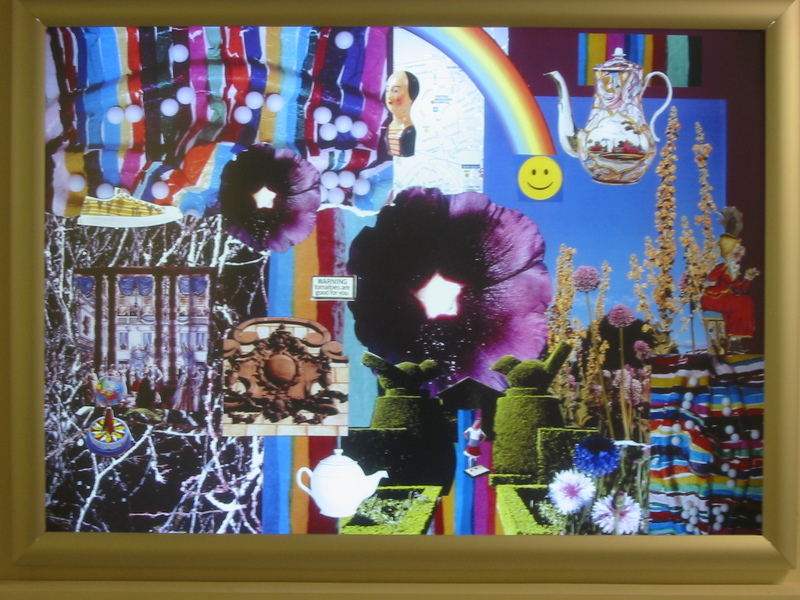 Susan Loppert (Art Consultant & Valuer/Arts in Health Consultant) commissioned my work for Chelsea and Westminster. 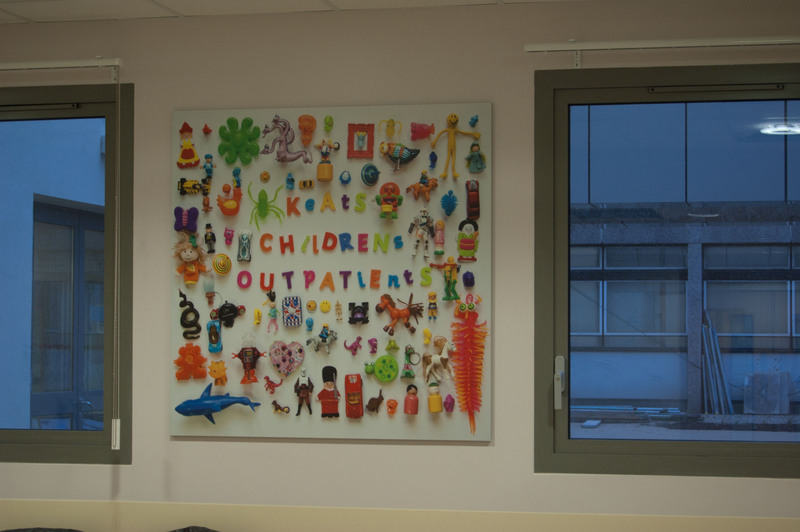 I have found all my hospital projects to be incredibly rewarding despite as a child saying to my parents, who both worked in hospitals, that I would never work in one. 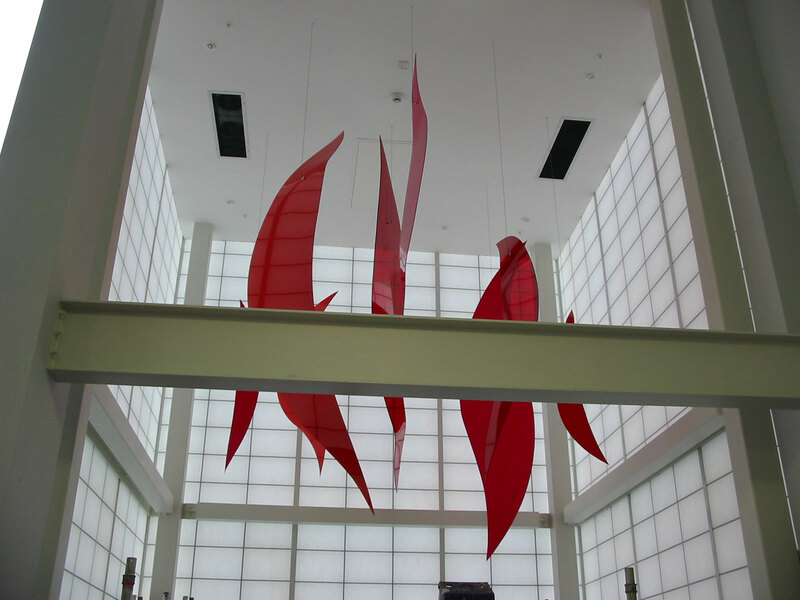 These huge silk covered light boxes and twisted silk sculpture provide a much needed blast of colour in this huge entrance hall. 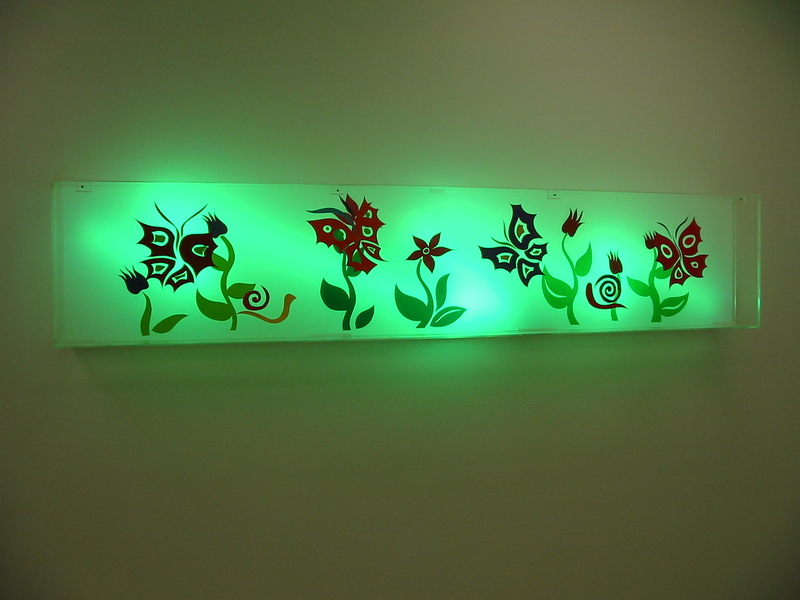 At night they can be seen through the glass front of the building. 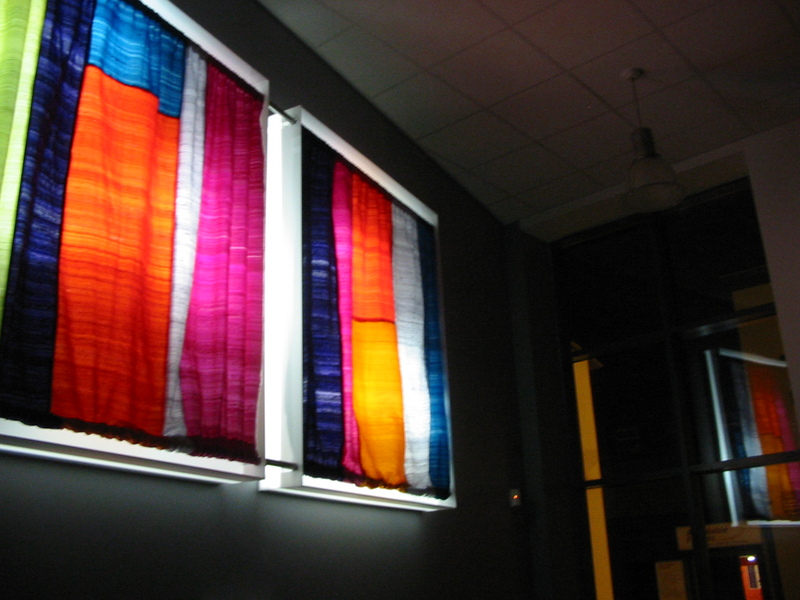 I used silk to honour the fact that for many years silk weaving was Macclesfield's main industry. 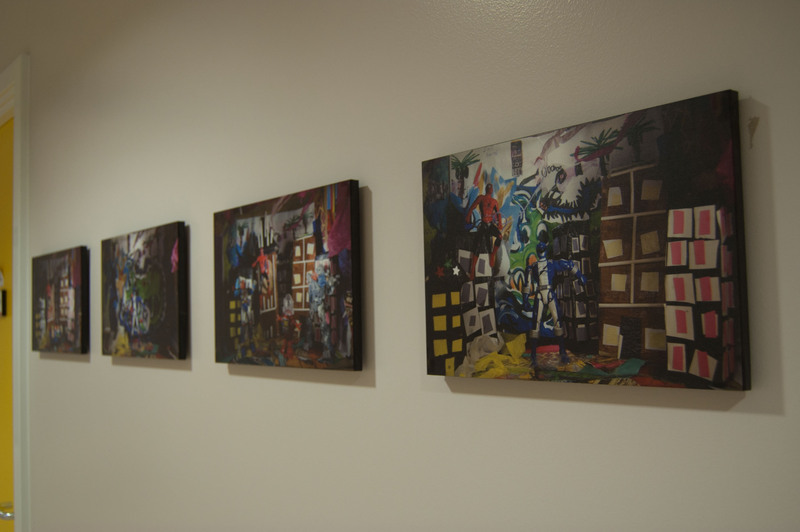 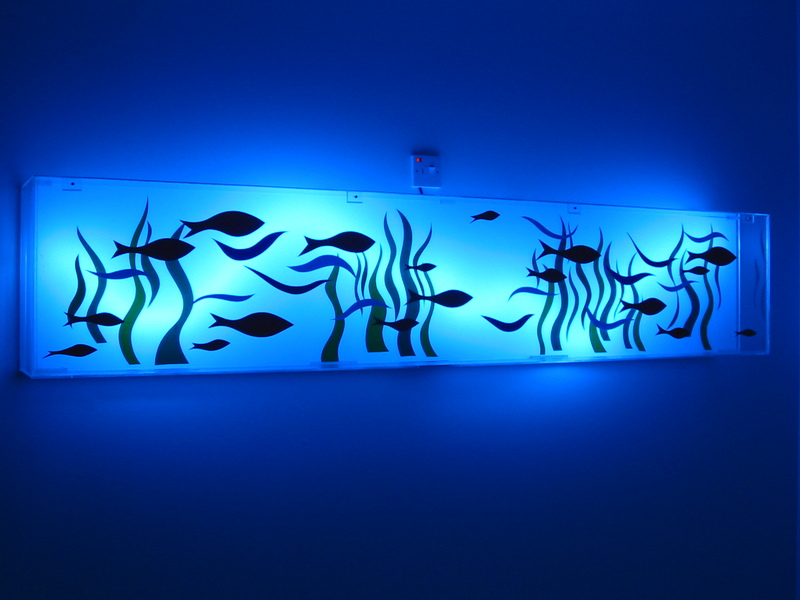 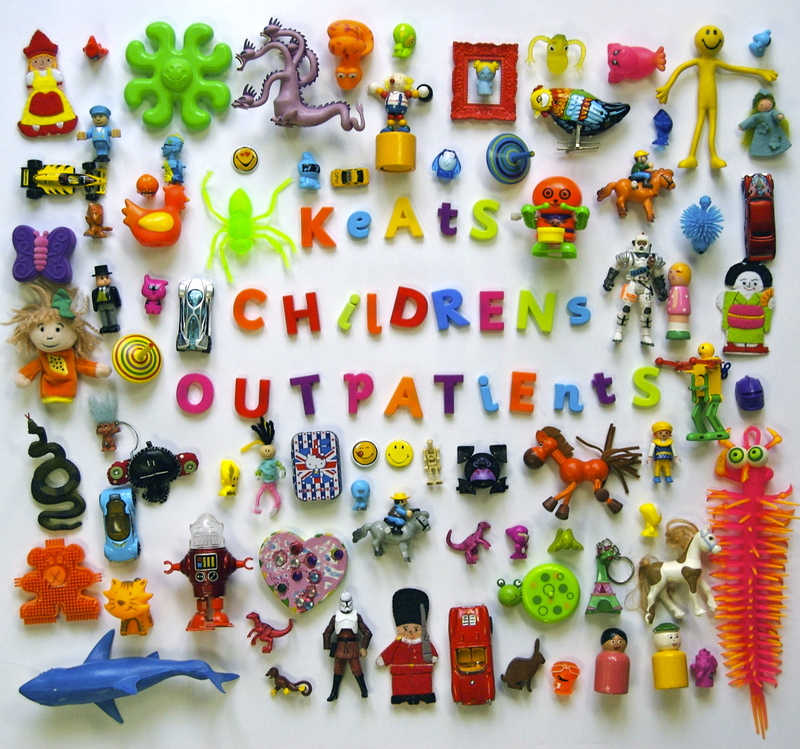 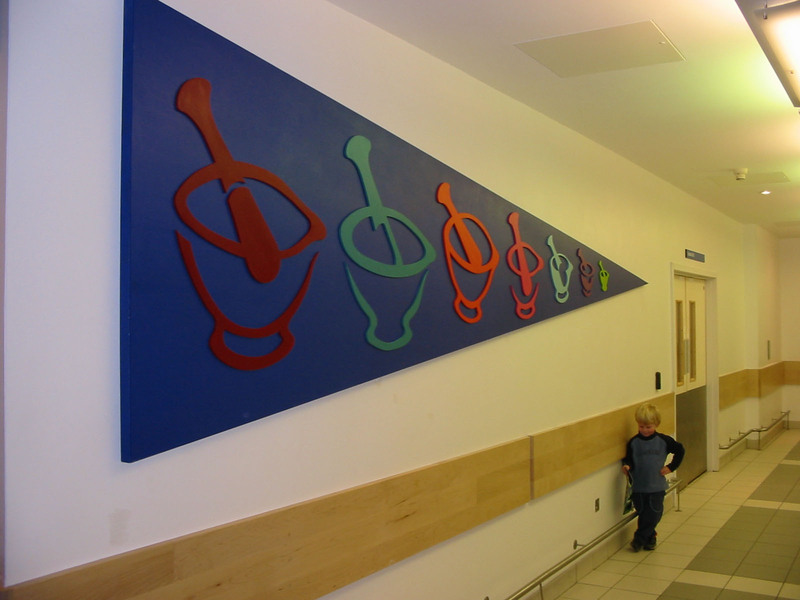 In 2010 I created all the artwork for the Keats Children's Outpatients Department at North Middlesex Hospital. 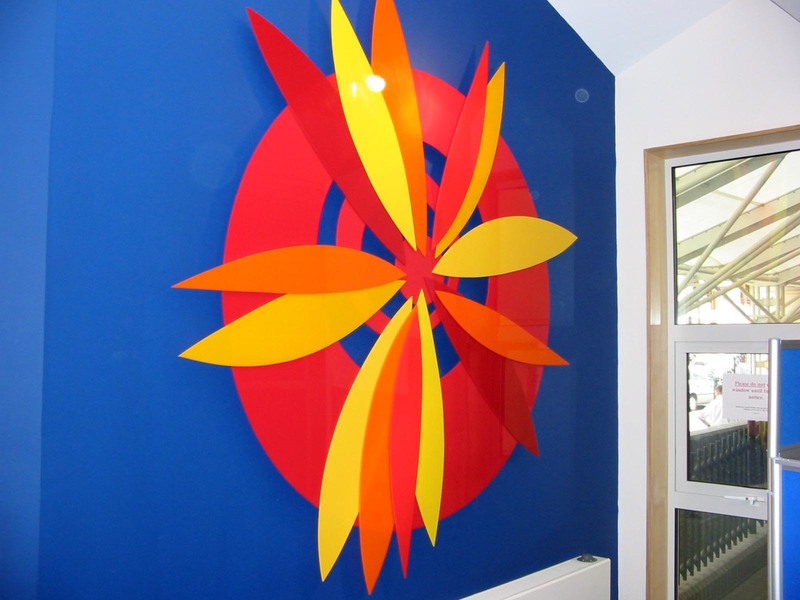 I worked with local primary and secondary schoolchildren on this project. 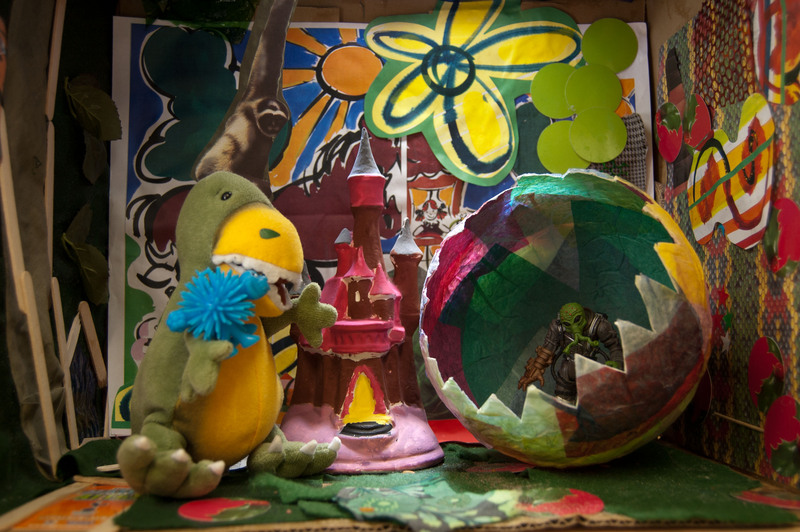 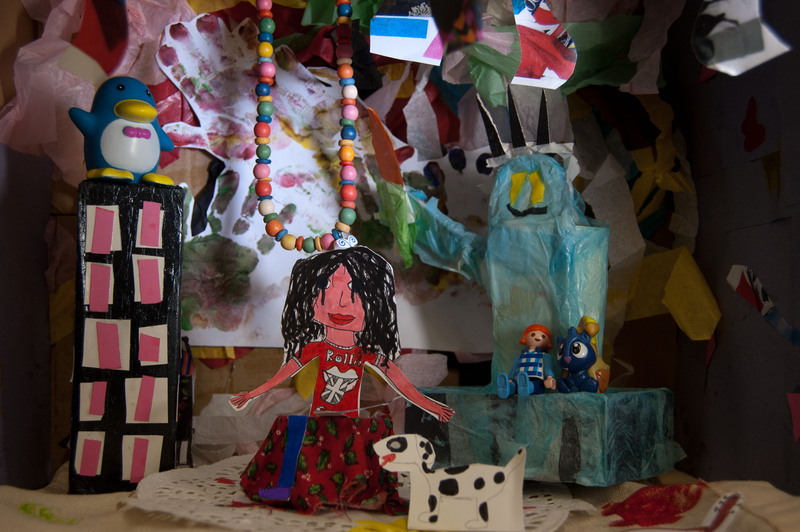 The theatrical style models allowed the children to tell me stories as we created the images. 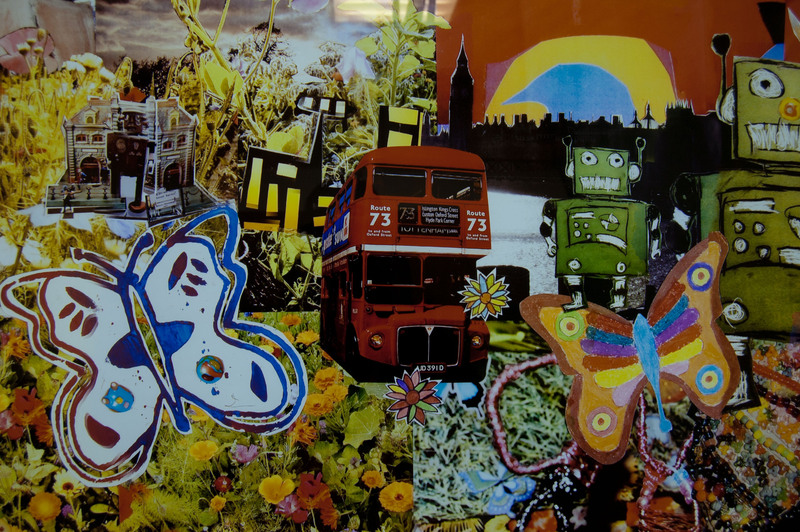 I collaged the images for the 'Butterflies over London' light boxes from my own photographs and actual artwork from Northumberland Park pupils. 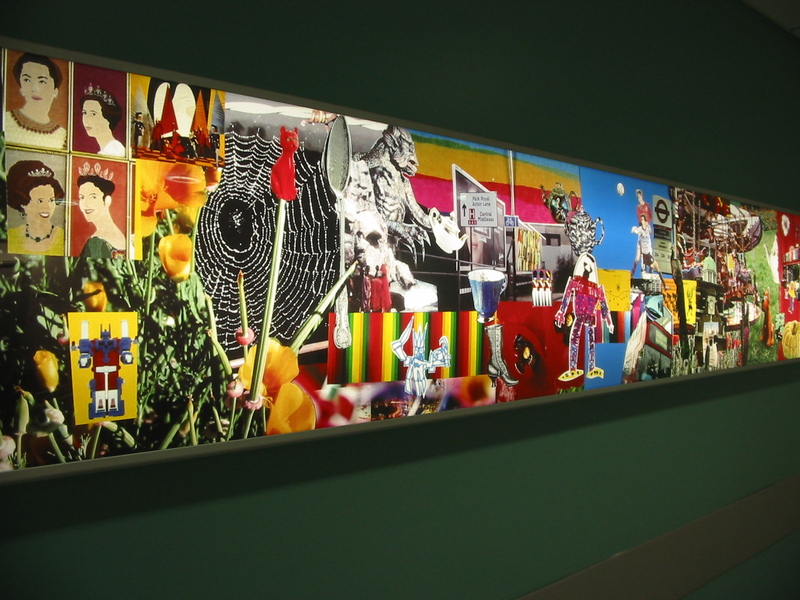 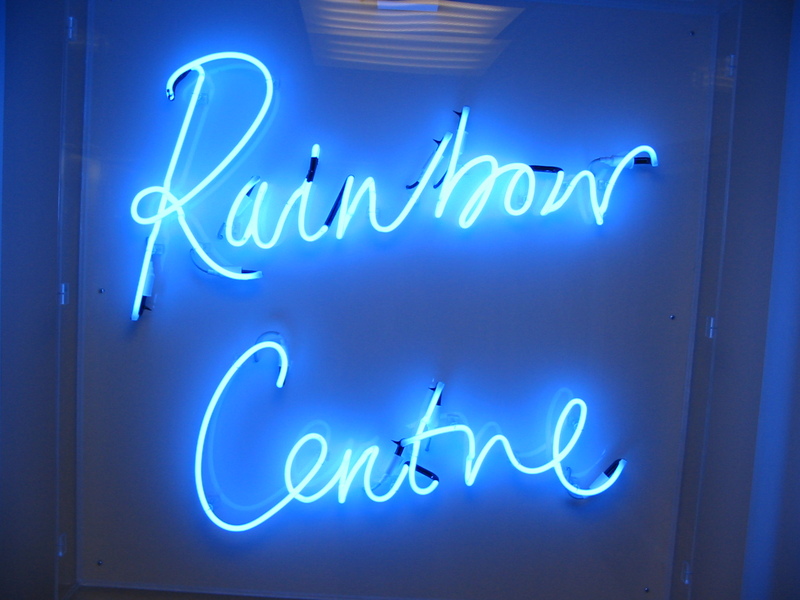 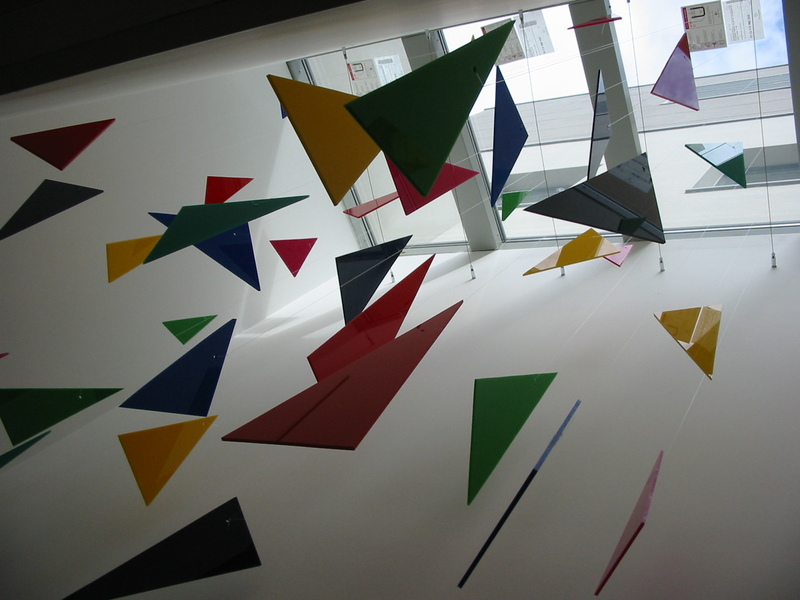 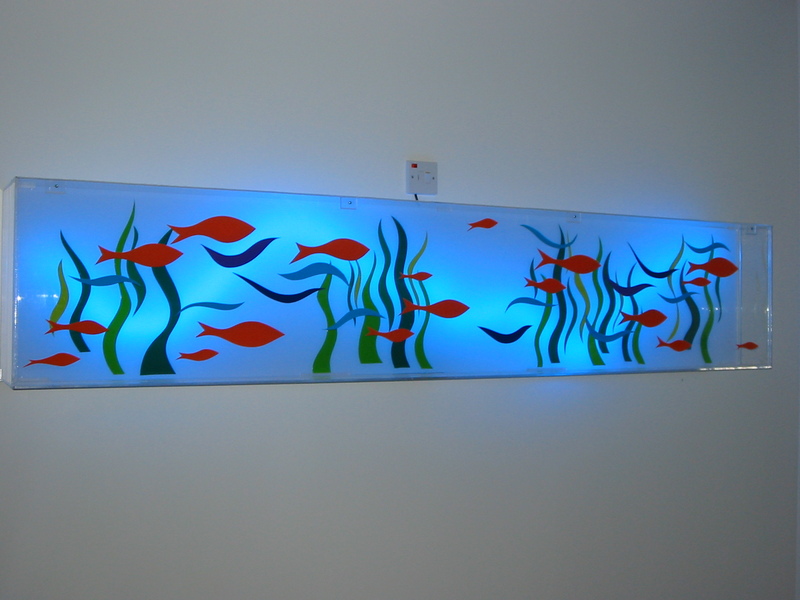 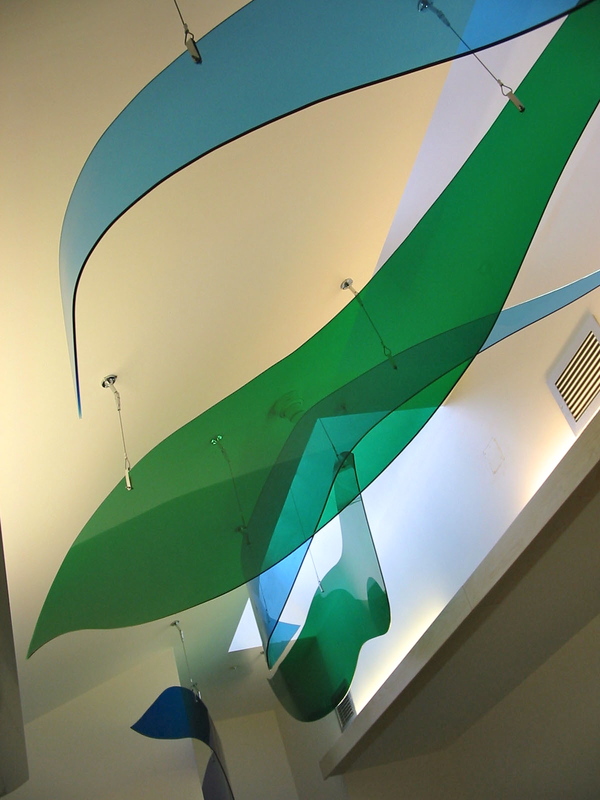 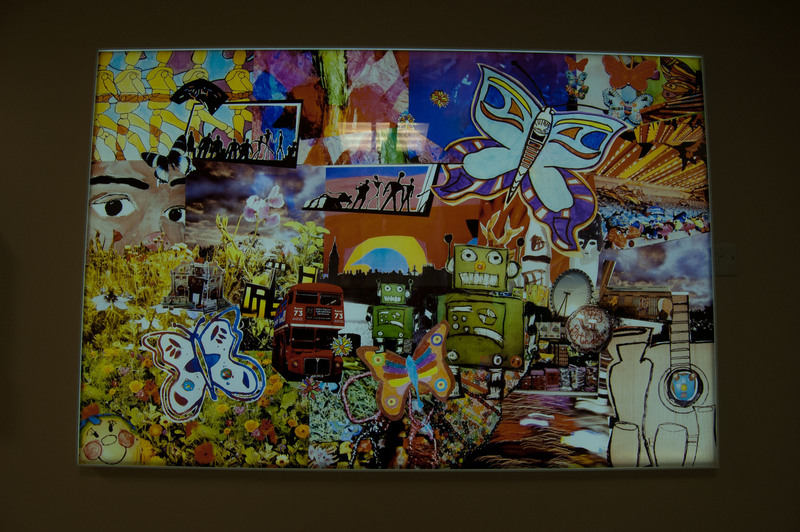 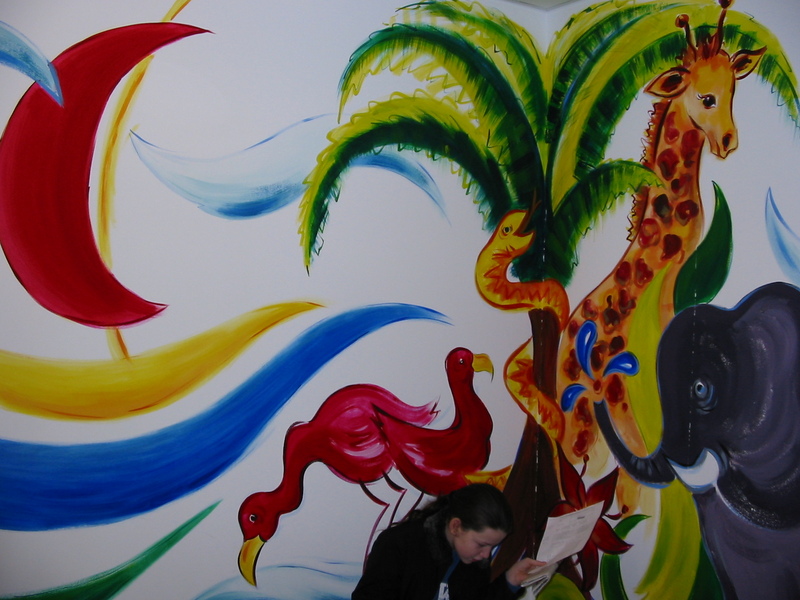 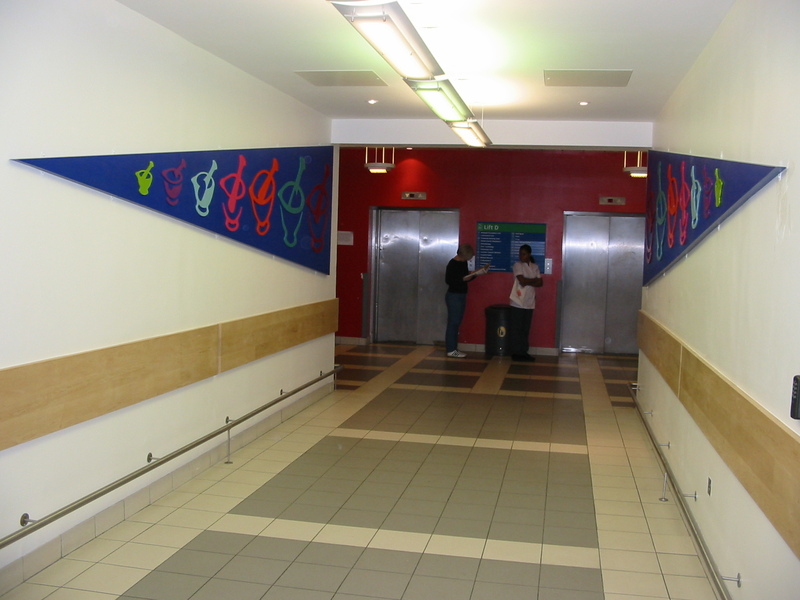 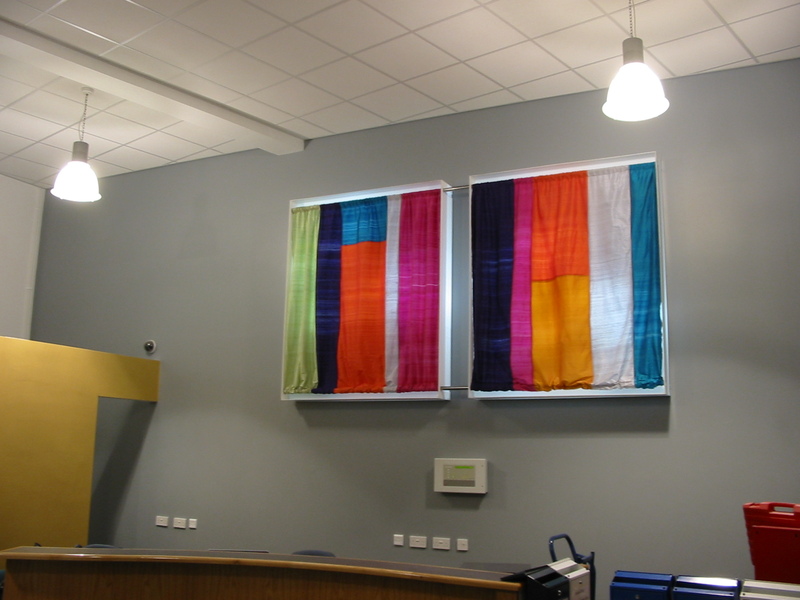 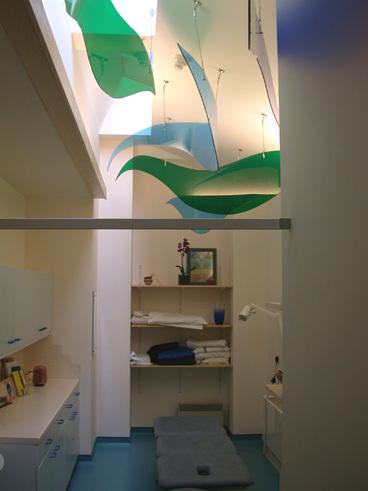 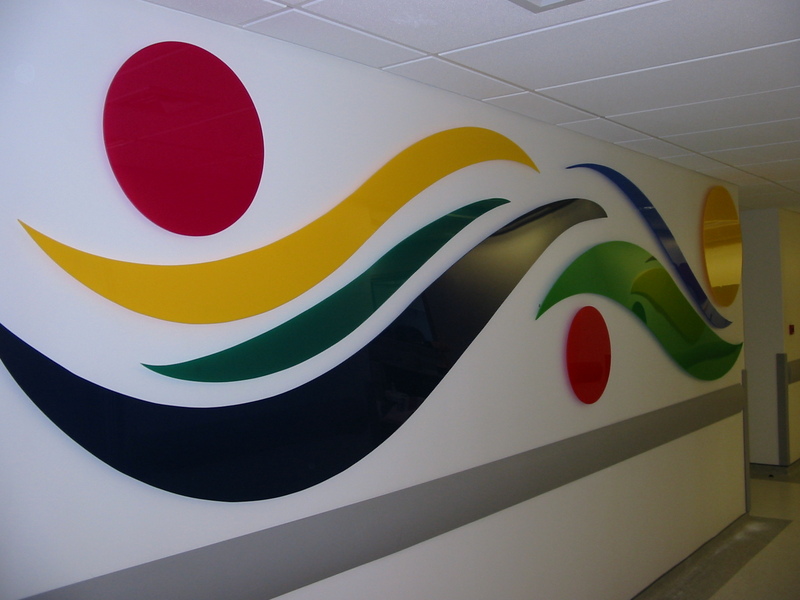 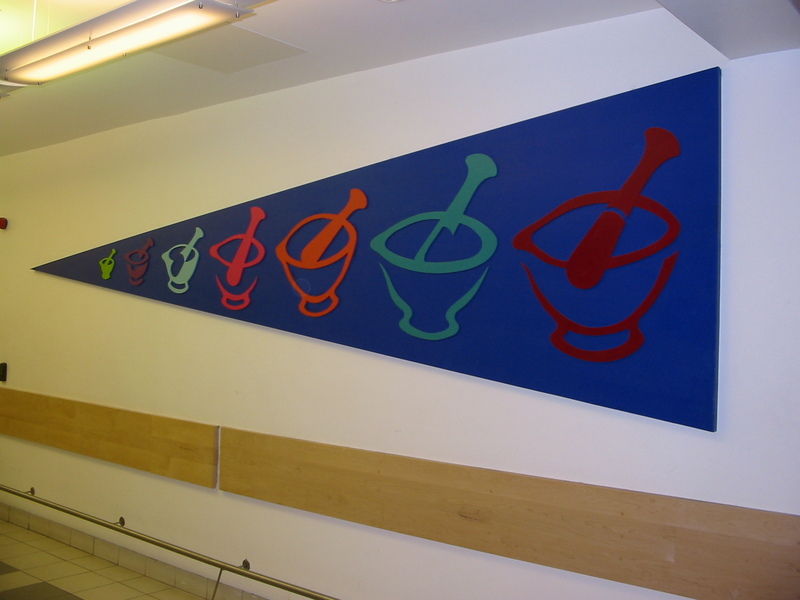 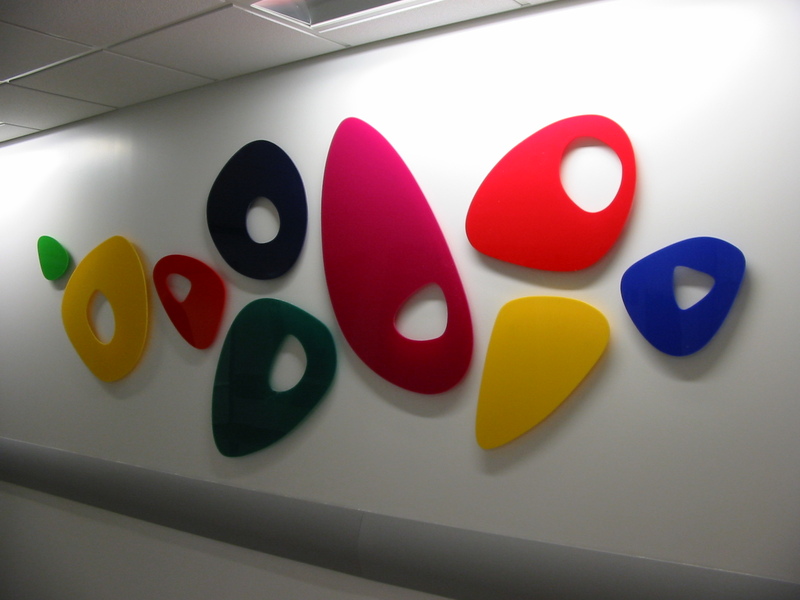 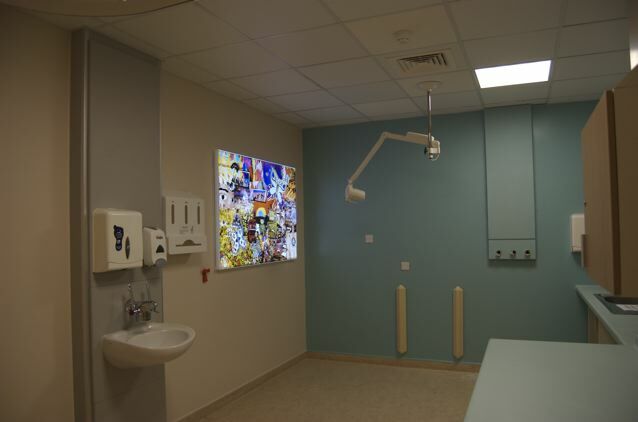 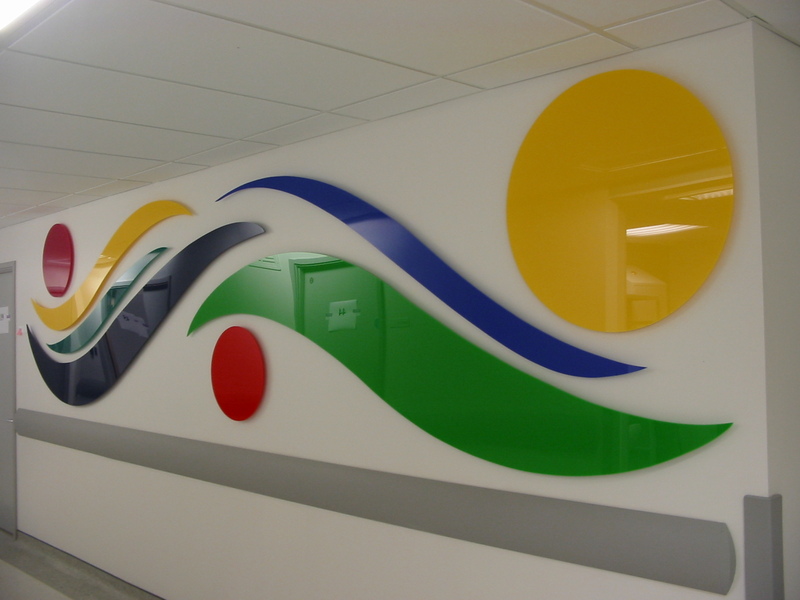 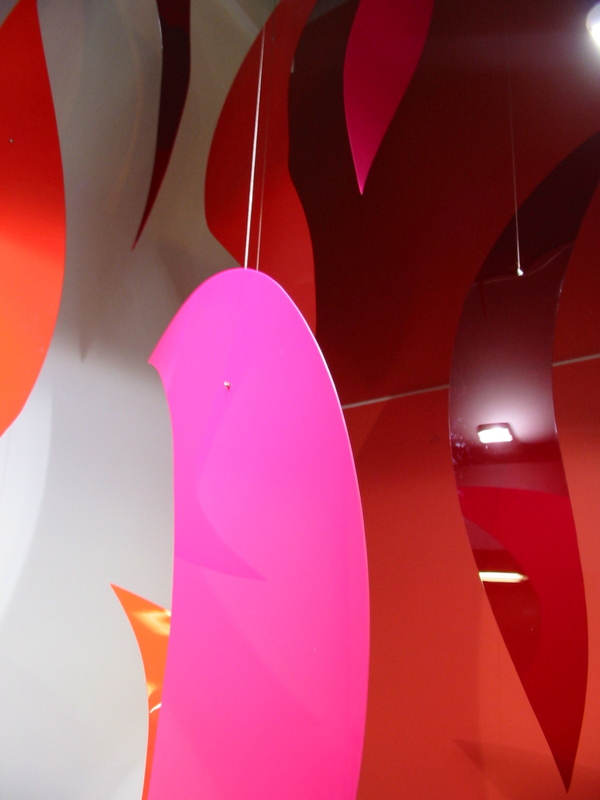 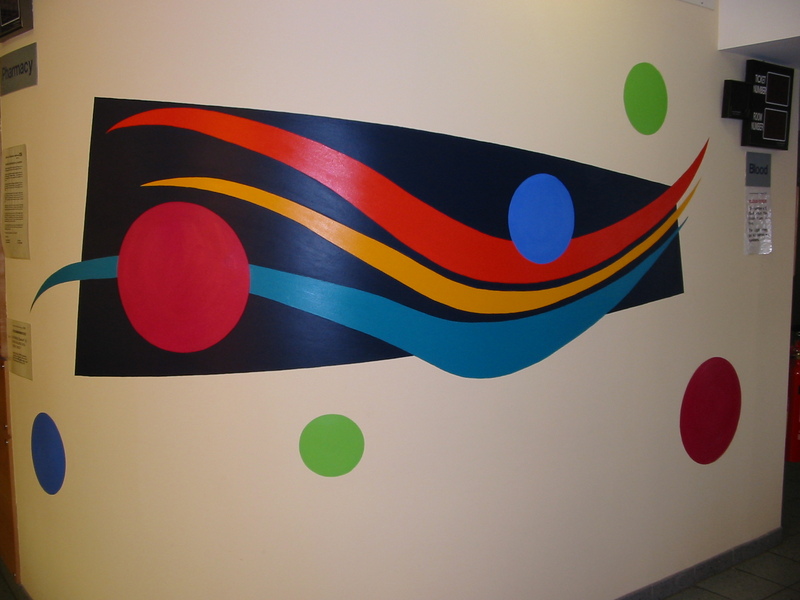 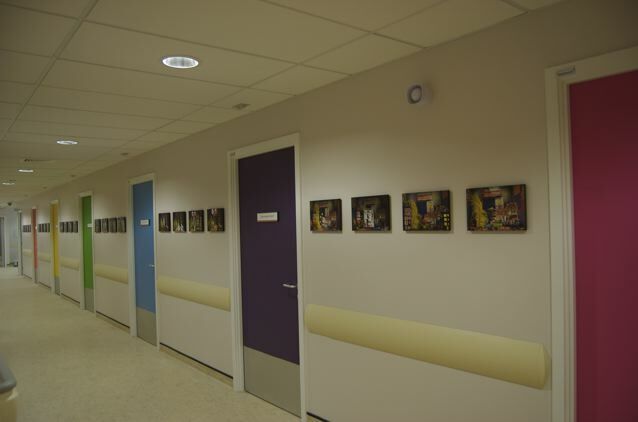 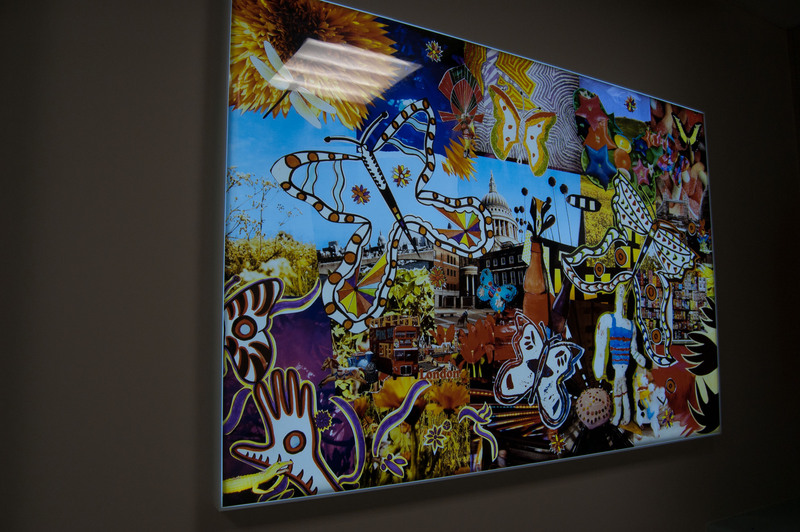 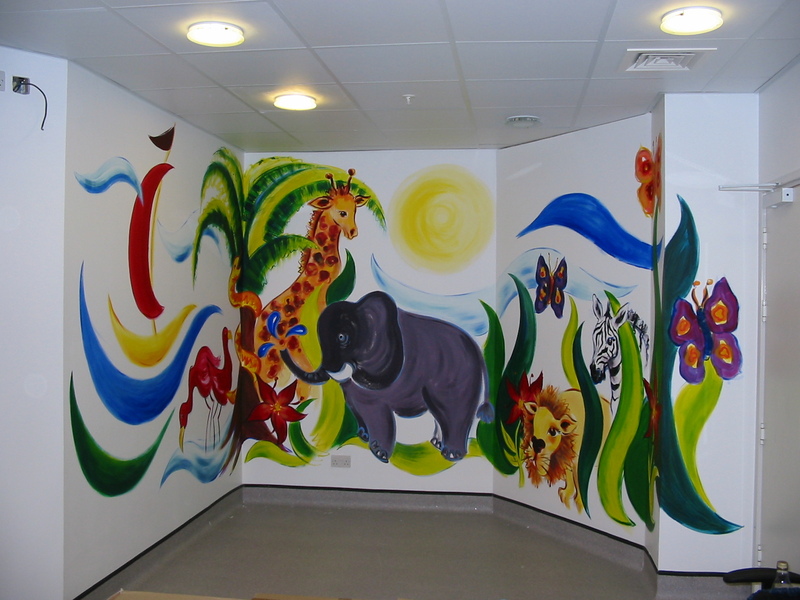 In 2005 I created all the artwork for the Rainbow Centre; the new paediatric department at Central Middlesex Hospital. 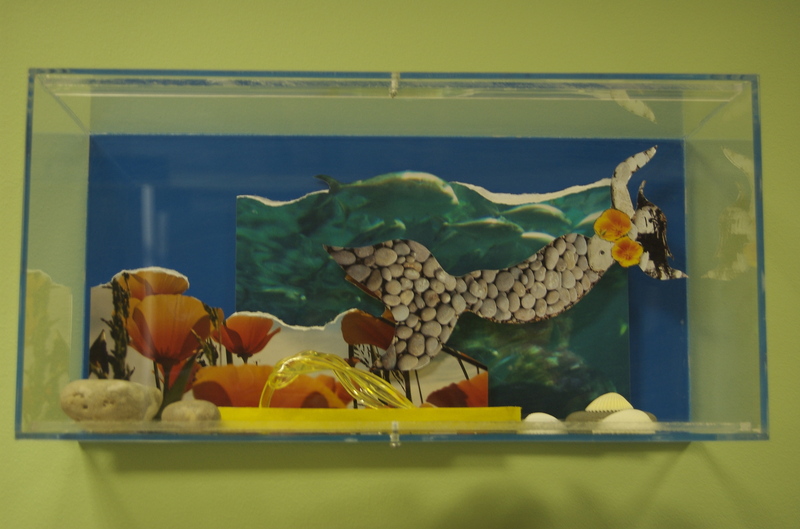 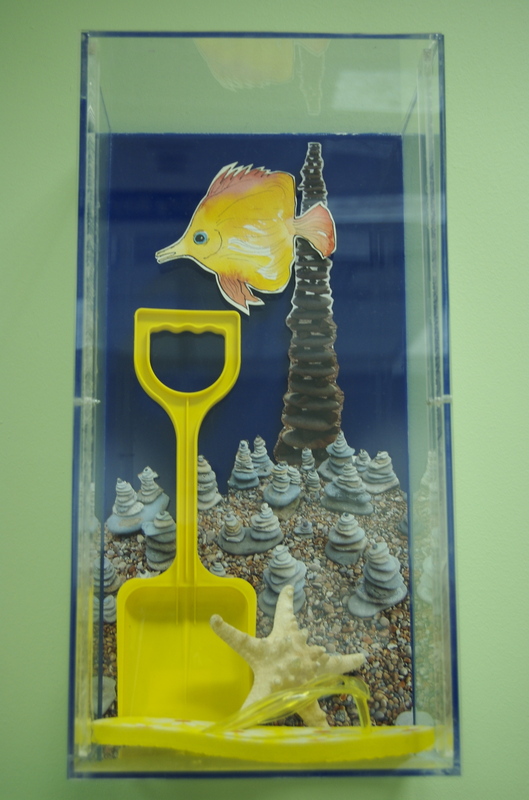 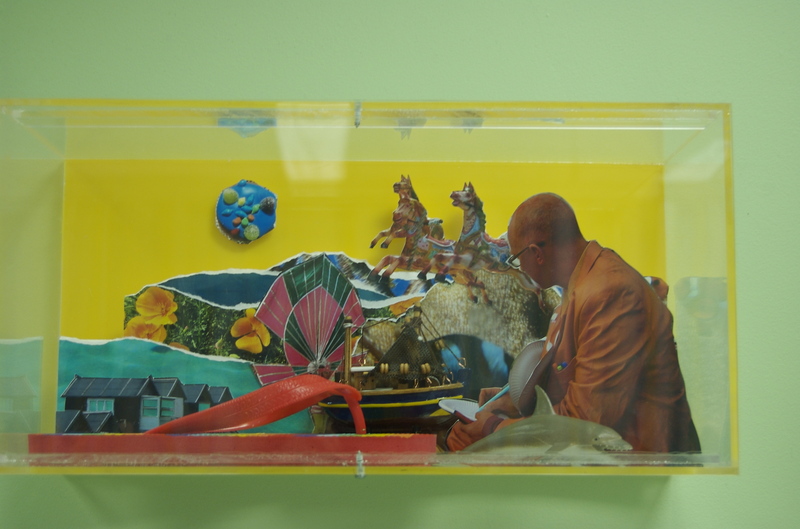 In 2007 Candice Hurwitz, NWLH Hospital Arts Director commissioned me to make seaside themed model boxes for the Paediatric A & E.